This storied wine is a celebrated Cabernet Sauvignon. 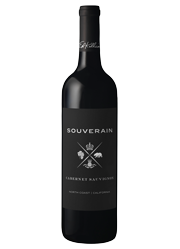 Deep ruby-purple in color, this Cabernet boasts bright and vivid aromas of roasted vanilla, mocha and baking spices which meet elegant layers of blackberry and ripe cherry flavors. The full mouth feel is extracted and rich and framed by thick mouth coating tannins. The fully balanced fruit, tannins and acidity, lead to a juicy and lengthy finish.